Various selection of our finest teas in a gift box. White, green, oolong, black and sheng puer tea. Best way to explore. Every month we organise tea classes, thematic special workshops, breakfast events. 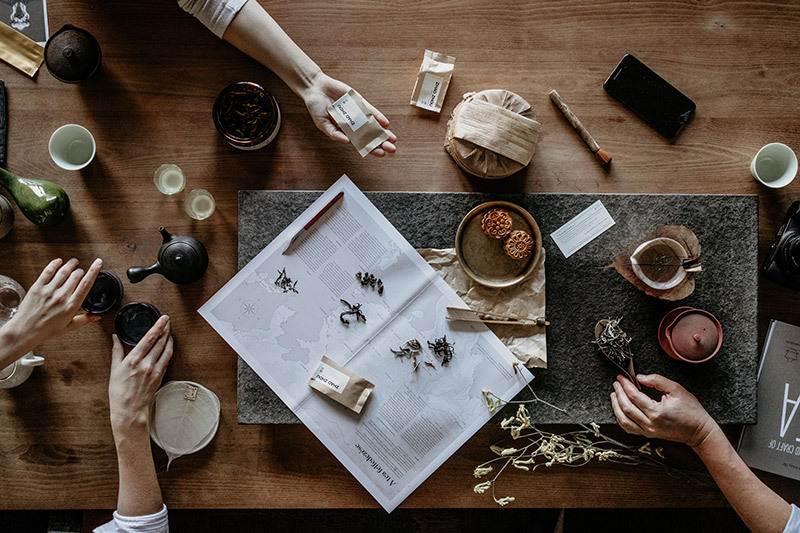 We believe that tea is a wonderful way for connection and friendship. We work together with Hungarian ceramists to have unique, handmade, beautiful vessels for our Matchas. Tünde Ruzicska, Somoskői Gábor from Kezemura are also friends, we create together. Every year we roam the tea mountains of Asia to find, taste and bring back the most exciting teas, the best finds. It is uplifting to meet so many nice, skilled tea makers who share the same passion for tea. We always look for teas with special characteristics representing the mountain, the varietals or teas with a message. 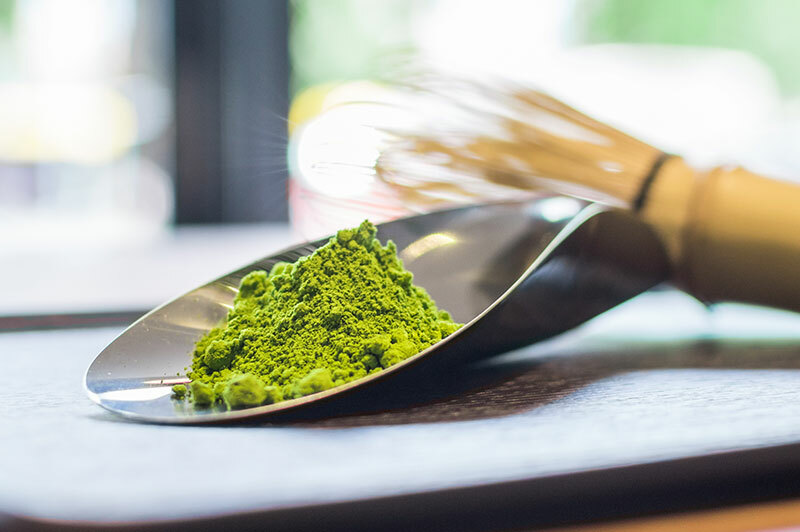 Matcha, one of the coolest and most healthy drinks of Asia since centuries. The fine ground powder of shaded tea leaves whisked with a bamboo brush until it froths. Come by to purchase our teas, savour our latest arrivals, brew your own tea, meet friends, have a healthy grain free snack, or attend one of our tea classes. Make sure that you have enough time to experience the power of a good old tree Puer. Just by the Danube on the Buda side. Responsibly sourced, artisan teas directly from the great Asian tea mountains. All the tea makers are good friends, and we mean it. Worldwide shipping is now available for the decent sum of 8 Eur everywhere. Our teas are in exciting places in Budapest and Europe. Contact us for our wholesale list, everyone deserves good tea.